Real Madrid will want to test Mauricio Pochettino's desire to stay at Tottenham Hotspur following Zinedine Zidane's shock resignation, but suspect Juventus manager Massimiliano Allegri will be a more obtainable target. Zidane's sudden departure, just five days after winning the Champions League for a third successive year, caught the Real hierarchy completely by surprise. The Frenchman informed president Florentino Perez only on Wednesday night that he wanted to leave and refused to listen to attempts to persuade him to change his mind. "I have taken the decision not to continue as coach of Real Madrid next year," Zidane said. "I spoke to the president to explain what I thought. I think it is the moment, for me and for the squad. I know it is a bit of a strange moment, but I think it is the right moment. "This is a team that should keep on winning and it needs a change for that. After three years, it needs another discourse, another working methodology, and that's why I took this decision. "There are complicated moments in the season when you ask: 'Am I still the right person?' I don't forget the hard moments too. "There are lovely moments and we ended with a spectacular moment but there are hard moments that make you reflect." 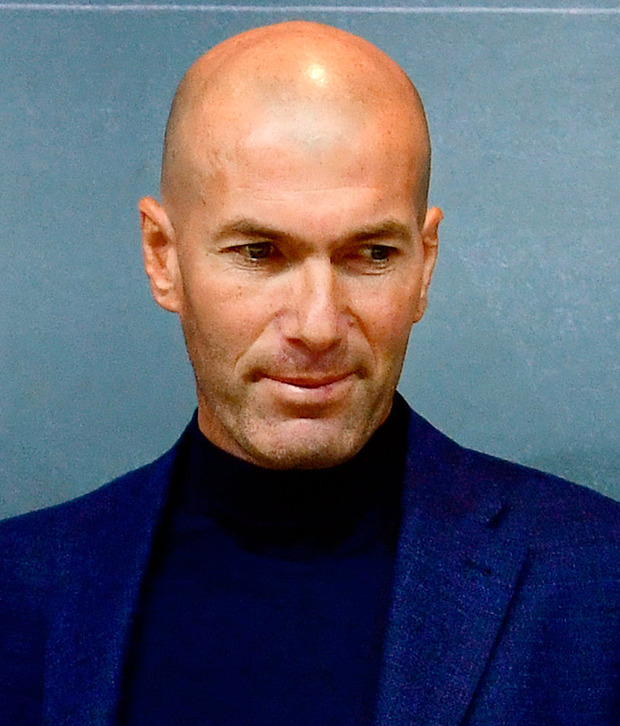 Perez revealed he had tried to persuade Zidane, who also won La Liga and two World Club Championships after replacing Rafael Benitez two and a half years ago, to reconsider. He described it as a "sad day" for Europe's most successful club adding that it was "totally unexpected". Real were still celebrating victory over Liverpool in the Champions League final last weekend and had not been expecting the stress of searching for a new coach. There was an uneasy mood in the Spanish capital as people digested the news. The shock will not last long. Real are already assessing the credentials of potential replacements and will not worry about upsetting anyone in their pursuit of them. Pochettino is much admired by Perez, because of his work with Tottenham - who beat Real in the group stages of the recent Champions League - and Southampton, but also at Espanyol in La Liga. It seems inevitable there will be some sort of approach to the 46-year-old's representatives in the next few days, if only to ask if he has any interest in the job. The initial feeling is that he would prefer to stay with Tottenham, but that will not stop them asking the question. Madrid are used to getting their own way, both in terms of recruiting players and managers, but they appreciate it will be hard to prise the Argentinian away from London, particularly as he signed a new five-year contract just a few days ago. That contract, which greatly improved his personal terms, does not include a release clause. That is likely to strengthen Allegri's position. The Italian, who has just won the title with Juventus, said he wanted to stay in Italy earlier this month, but that was before the Madrid job became available. Real could also turn to former Arsenal manager Arsene Wenger. The 68-year-old is out of work for the first time in 22 years and has been of interest to Madrid in the past. The media in Spain has played down the Frenchman's chances, but if others are reluctant to step into Zidane's shoes, he could be perceived as a safe pair of hands. There could also be ramifications for Chelsea. Antonio Conte is expected to be removed this summer, despite winning the FA Cup in his second season in England, to go with the Premier League title he secured in his first year. He is also likely to come under consideration, as might the man tipped to replace him at Stamford Bridge, former Napoli manager Maurizio Sarri. Whoever steps into the void will face a huge task. As well as trying to close the gap on Barcelona the new man will be expected to live up his incredible success in Europe. On top of that, they will also have to deal with the doubts over Cristiano Ronaldo and Gareth Bale's desire to stay on, although the latter will be encouraged that he could have a brighter future with Zidane's departure.